Aged care advice, how can we help? From the above you can see the number of Australians aged 85+ is expected to quadruple over the next 30 years. Furthermore, the number of people aged 65 plus is expected to move from 3 million people now to over 4 million in just 10 years. Providing for housing and care needs as we age. Ensuring the longevity of financial resources up to age 100. Today we will cover off how Power2 assisted a couple in their 70’s to deal with the difficult, and in their case very sudden, transition into aged care. We have changed some details for privacy reasons: William and Kate were both in their early 70’s and had been retired for about 10 years. – They owned a nice home in Mackay worth about $400,000. – They had approximately $750,000 in superannuation and about $50,000 in other assets (car, bank accounts, caravan). – They were drawing about $40,000 from their super and receiving around $15,000 from the aged pension. 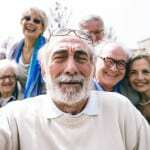 – Retirement was going to plan; they had travelled Australia and a little overseas, had enough cashflow never to have to scrimp and save, and could spoil their grandkids. – Importantly they had a valid and up-to-date Will and also a Power of Attorney. Preparing for a trip in their caravan to see the Grandchildren down south, Kate suffered a significant stroke. She was left with significantly reduced motor skills and severe memory loss. Whilst William tried valiantly to assist Kate to stay at home, it simply become too much for both of them. Hence a decision was made to move Kate into an aged care facility. After interviewing several aged care facilities around town, William with the help of his son George, made a selection. In order to secure a place for Kate, the home required the payment of a Refundable Accommodation Deposit (or RAD) of approximately $350,000. William was a little taken a back about how to fund this without jeopardising his own living standards. It is important to note that whilst a couple may live comfortably on $55,000 a year, we can’t simply assume a single will be ok on half of this due to fixed costs such as rates, insurances etc. A single person would still need around $35,000-40,000 to be comfortable. How Did Power 2 Help? The interaction between aged care payments, superannuation, and Centrelink can be complex. Hence we went through a process with William that involved running multiple scenarios. One of the big questions was the funding of the RAD of $350,000 as this can be done as a lump sum, instalments or a combination. Note that the RAD amount is refunded once the resident leaves the aged care facility. – William would remain in their home for the foreseeable future. – Take $300,000 out of superannuation and use this as a part payment towards the RAD, leaving $50,000 to pay in instalments (known as a Daily Accommodation Payment or DAP). – gradually reduce the balance of the $300,000 RAD over time (in 10 years, the refundable amount would be around $260,000). – The payment of the RAD was very important to Centrelink outcomes as it would become an exempt asset. – This left $450,000 in superannuation to provide some living costs. – Apply to Centrelink for a reassessment as an “illness separated couple”, which resulted in a much higher payment rate. – $750,000 in Superannuation to $450,000 in super plus a Refundable Accommodation Deposit of $300,000. – Cash flow was previously $40,000 from Super and $15,000 from the aged pension; total $55,000. o $37,000 from Centrelink (previously only $15,000). o William’s normal living costs of $40,000. – Overall, we were able to find the balance between retention of assets for longevity and cash flow outcomes. – Note also that it was very important that they had valid Powers of Attorney. Without them, it would have been a much bumpier ride. Aged care is very complex area of advice with many pitfalls. Getting the right advice can be crucial to retirement outcomes. The transition to aged care is stressful enough without adding significant financial complexities into the mix. If yourself, or your parents, friends etc, feel like exploring this area further, do not hesitate to contact us. Note that there is no additional charge for this service for our ongoing clients.